Most of us don’t have the skills or time to create our own full-fledged Mac apps and plugins. But with Automator, a native Mac app, you can create many little time-saving apps and workflows, and customize them as you see fit. To show you how beneficial Automator apps can be, let’s go through some practical apps that you can create in under five minutes. But first, let’s see how Automator apps work in general. Automator apps work like any other app on your Mac. When you launch the app, it opens up and you tell it what to do. You can also configure the app to perform a task without launching the app window itself—just click on the relevant app and it will execute the commands programmed into it. Feel free to drag Automator apps to the Dock or add them to the Finder toolbar. With that introduction out of the way, let’s move on to those sample Automator apps we promised you. We’ll use the first one as an example to show you how to create, save, and run an Automator app. You’ll then find it easy to create the rest of the set. Why create this app when you can instead create a new mail message in Mail when you need it? The app can save you time if you often send emails with a specific/similar message to a person or group of people. It automatically creates a new email with a preset recipient list, subject, and message. To begin creating the app, launch the Automator app that lives in the Applications folder in Finder. Next, click on the New Document button in the Finder dialog box that opens. This brings up the template chooser, where you have to select Application as your document type and then click on the Choose button. Now, let’s introduce you to different parts of Automator and create the Send Mail Message app. In the next column, from the set of actions listed for the Mail app, select the New Mail Message action. Notice that when you select an action, Automator provides a brief description of what it does below the first two columns. If that description does not show up, click on the little triangle in the bottom-left section of the Automator window. Drag the New Mail Message action into the workflow pane, which is the column on the far right. Fill in the action fields with the address(es) of the recipient(s), the subject line, and the content if it will be similar each time. Want to edit the message before you send it each time? Then first, click on the Options button at the bottom of the action box and select the Show this action when the workflow runs checkbox. This tweak opens the new mail message window for editing each time you launch the app. Skip this step if you want Automator to send the message automatically when you launch the app. Finally, once you have set up the workflow, you can select the Run toolbar button to see if the workflow works. The test run will not always work, depending on the workflow you’re trying to create. But for most of the apps listed here, you can run the app workflow and test it before saving it. After doing the test run, click on File > Save to save the workflow to the Applications folder or any other Finder location of your choice. If you plan to create more Automator apps, you might want to create a special folder for them. If you don’t like the default icon that shows up for Automator apps, you can change the app icon to any image you want How to Easily Change App Icons to ANY Image on Mac How to Easily Change App Icons to ANY Image on Mac Ugly app icons may not be the worst part of your day, but they can be annoying to look at. Here's how you can change any app icon to any image on Mac. Read More . Alright, now that you have learned to create this simple Automator app, let’s explore the others that you can create just as quickly. To find each of the actions we mention, you can type in the name of the action in the search field at the top of the second column in Automator. If required, edit the parameters for actions in the workflow pane. And keep in mind that when the workflow contains more than one action, it’s important to add them to the workflow pane in the order specified. The Print Finder Items action, when saved as an app, will automatically print any document that you drop onto it. After creating the app using the steps described above, put it in the Dock or Finder toolbar. Now, select a document file and place it on top of the saved app to run the action and print your document using your default printer. To tweak the printing configurations before the action executes, you’ll have to enable the Show this action checkbox as we discussed in the app creation example above. Get Specified iTunes Items: Drag your favorite playlist from iTunes to this action in the workflow pane. Play iTunes Playlist: Add this second action below the first one. Once you save this workflow as an app, you can launch it to play the specified playlist. This little app hides all your running apps and opens any app of your choice so you can get focused and begin working. All you need to do is add the Hide All Applications action and then the Launch Application action to the workflow pane. Of course, for the second action, you’ll also need to specify which app you want Automator to launch. If you need to archive a bunch of files fast, this app is the easiest way to do it. Park it in the Dock, put your selected files on top of it, and it will create a ZIP archive of those files. 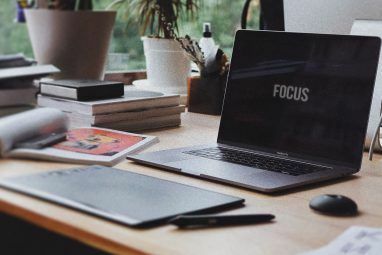 If you have a favorite desktop image that you like to switch around from time to time, you don’t have to open the System Preferences app to set it every time. Create an app using the actions Get Specified Finder Items and Set Desktop Picture to set your favorite image as the wallpaper in a couple of clicks. You’ll need to edit the first action to include the relevant image as part of the workflow. The Launch Webpages app is set to launch specified webpages, which makes it easy to open your favorite bunch of websites when you start using your computer in the morning. This saves you the trouble of digging through your browser bookmarks. To create the app, drag the actions Get Specified URLs and Display Webpages to the workflow pane. Be sure to replace the default URL in the first action with your selected webpage(s). 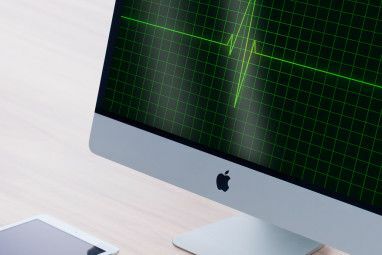 Keep in mind that apart from launching webpages, there are more ways to use Automator with your browser 6 Ways to Use Mac Automator with Your Browser 6 Ways to Use Mac Automator with Your Browser Use Automator's browser commands to save time performing regular actions in Safari, or any other browser. Read More . 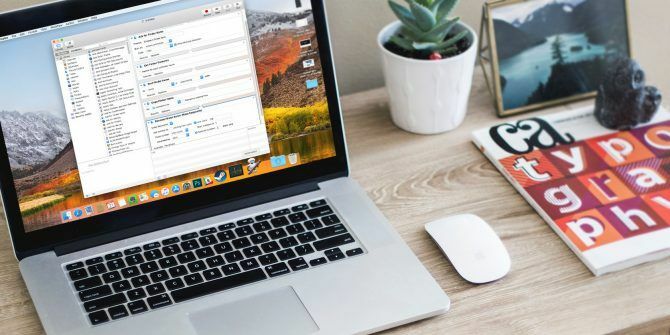 The Automator apps we created above are an easy way to dip your toes into the world of macOS automation. There’s a lot more you can do once you get comfortable using Automator. 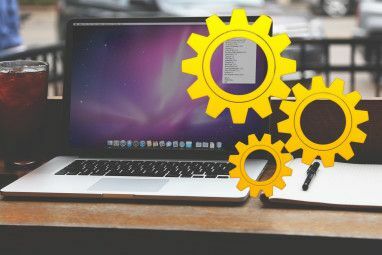 Try a few time-saving Automator workflows 8 Time-Saving Automator Workflows for Your Mac 8 Time-Saving Automator Workflows for Your Mac The Automator app on your Mac makes it easy to automate tedious tasks. Here are awesome time-saving workflows you should set up. Read More next! Explore more about: Computer Automation, Mac Tips, Mac Tricks, Productivity Tricks, Task Automation. Is there any option to fetch a file from a location and send that file through mail using automator. Thanks for this tutorial. The first email workflow is exactly what I was looking for. HOWEVER, when I run it, my normal signature file doesn't appear. Any idea how to make that show up? Is there a way to hide just the front most application window? Bailin, I only see an Automator action to Hide All Applications, so it doesn't look like hiding the front most application. However, it can be done using Keyboard Maestro. Is there a particular process in which you would like a front most application hidden? For example, with KM, an application can be automatically hidden when another application comes to the forefront. I'll check out KM. Thanks. What's a similar app for Windows? I know there is autohotkey, but is there something with a GUI? Very nice article. Thanks for writing it! I have a question. There is an Automator step to Label Finder Items. However, it looks like you can only select the seven default tags (in Mavericks). Is this a leftover from before Mavericks tags? Is there any way to apply custom tags to Finder Items? Thanks!